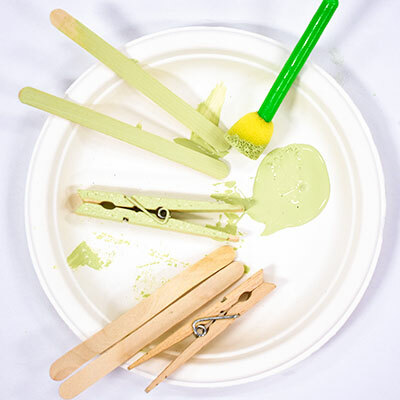 Explore the alphabet with our A to Z Crafts! 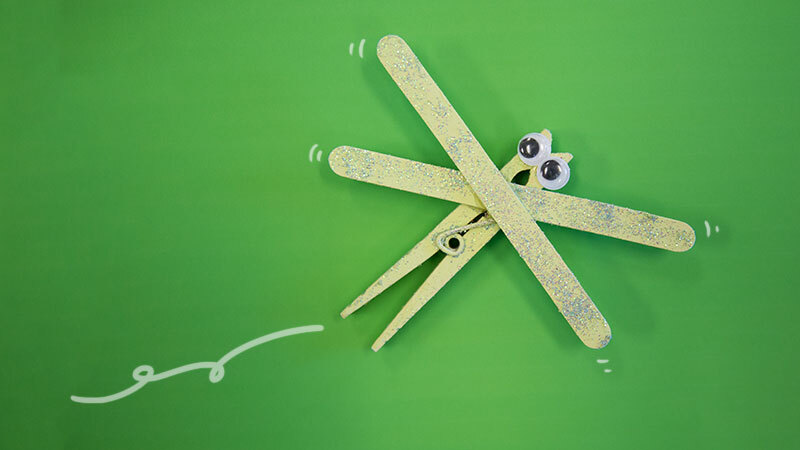 D is for Dragonfly and is perfect for teaching little learners about the alphabet and letter recognition. 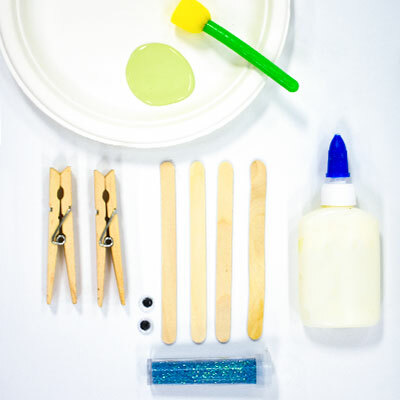 Use a paint brush or sponge dabber to paint craft sticks and clothespins the color of your choice. 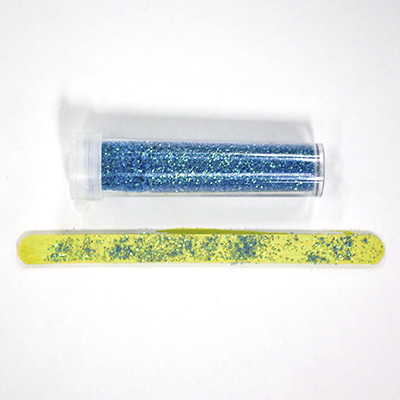 Sprinkle glitter on the craft sticks to add a little sparkle to your dragonfly wings. 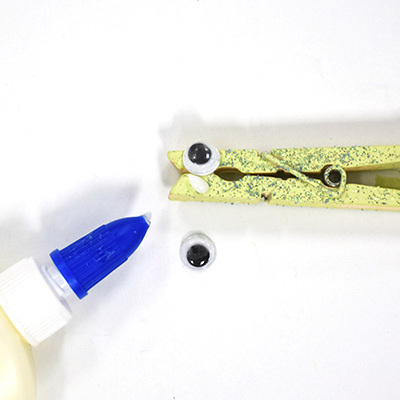 Glue 2 mini wiggly eyes to the clothespins. 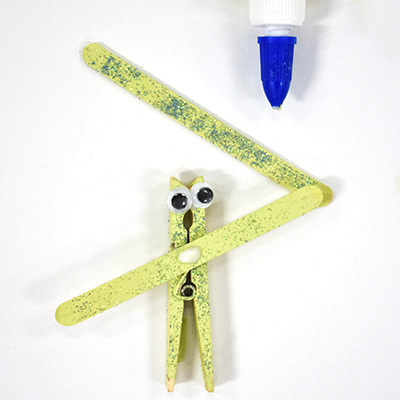 Glue 2 craft sticks to the clothespin in an X formation to form the wings. 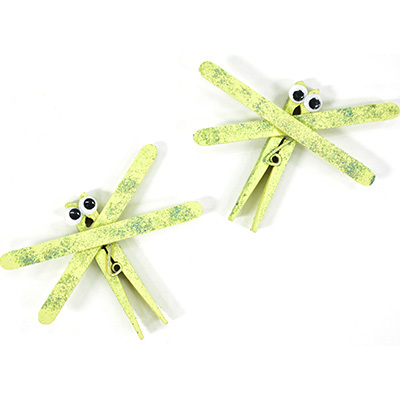 Your dragonflies are now complete!